The most exciting update of iThermonitor app ever! Besides the brand-new user interface, the Temperature Analysis shows the highest temperature and the duration of fever for each episode. The Temperature Trend Chart combines temperature chart and fever related events, enabling the doctor to understand your child’s fever progression in a more informed way. For those who have more than one child, one smartphone can now connect with multiple iThermonitor sensors. 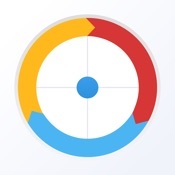 24/7 MONITORING - Connecting with the iThermonitor sensor, this app collects temperature data every 4 seconds and develops a temperature chart. 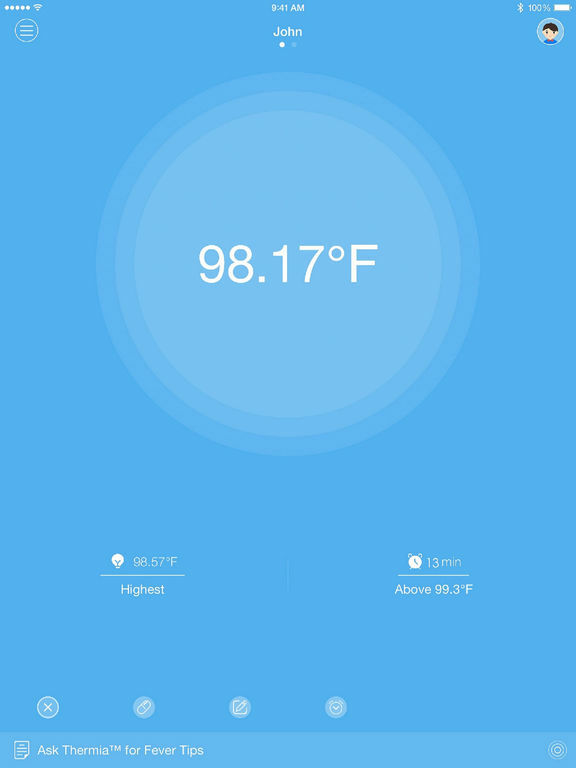 HIGH TEMPERATURE ALERT – The app captures your child’s abnormal temperature in real time so that you can take necessary actions immediately. DATA ANALYSIS - Professional data analysis of body temperatures through collaboration with Boston Children’s Hospital, affiliated hospital of Harvard Medical School. FEVER TIPS- Free access to the Fever Management Information framework – Thermia, licensed from Boston Children’s Hospital, the #1 pediatric hospital in the US. ANYWHERE, ANYTIME – For parents and grandparents, wherever you are, you can always monitor your children’s temperature. iThermonitor has integrated with the Health App and you can sync body temperature data to the Health app (requires iOS8).